Get started on our simple writing platform. This inserts an image in your post, pulled from the given URL, that will read “Image” to anyone using a screen reader. We'd highly advise writing something more descriptive here, to help out any visually impaired users. In order to get a URL for your image, it'll need to be hosted somewhere on the internet. 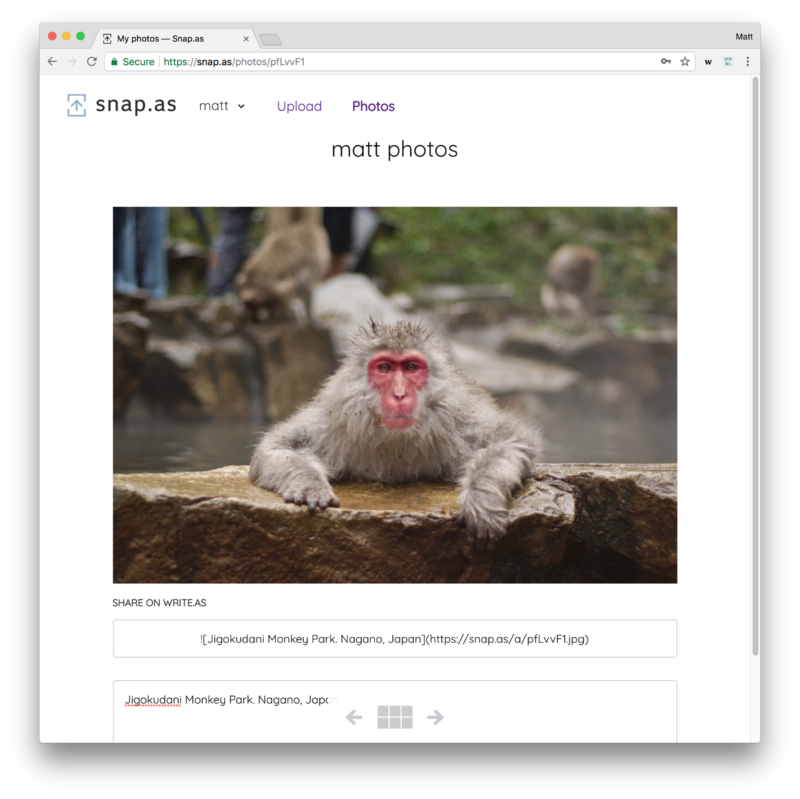 We have an integrated photo hosting platform called Snap.as that'll let you do exactly this — Pro users get it as part of their subscription, and can connect their account here. Read more about this on the Snap.as blog. You can show only the beginning of your post on your blog's home page with a bit of special text. If you're on our blog's home page, you'll see a “Read more...” link below. That's it! You'll see a link to that post from every page on your blog. Note: on Write.as, this requires a Pro or Support subscription.